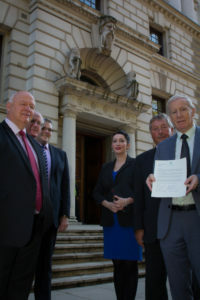 Ahead of next week’s Budget, The A Fair Tax on Flying campaign have welcomed the support of the DUP Parliamentary Party who last week delivered a letter to the Treasury outlining their support of the call to reduce Air Passenger Duty (APD) by at least 50%. 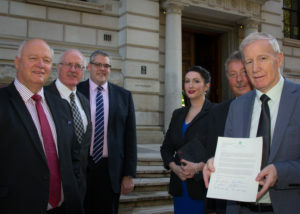 Alongside this, The A Fair Tax on Flying campaign has also released video messages to the Chancellor from the DUP MPs which outline their concerns about the impact that the UK’s high level of APD has on the UK’s economic growth and international competitiveness. “The UK’s sky-high level of APD is makes no sense, particularly as we leave the European Union and need to increase our connectivity and ensure that the UK remains open for business.